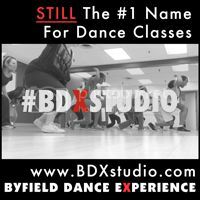 A wonderful week of tap dance inspiration happened in Toronto August 23 – August 27 at Byfield Dance Experience (BDX). It was a wonderful opportunity for tap dancers from the GTA and as far east as New Brunswick- to come together, learn, grow and make friends. Strengthen improvisation individually, as well as trading in teams and groups. There’s a reason we put the “E” in IMPROVE. Because IMPROV is a constant work in progress. At week’s end, we showed off to a small audience, everyone proudly showing their new respect and understanding of improvisation. Kudos to the participants, and to all tap dancers who continue to work on improv and embrace being creative!